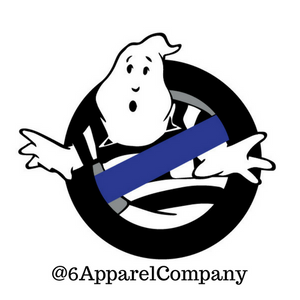 Features our Ghostbusters-inspired thin blue line logo. No matter how much people complain, just remember, "Who they gonna call?" Hurry up and grab one of these before they've disappeared. Sizes: L, XL, 2XL, larger/smaller sizes can be special-ordered. I've had mine for awhile. Hasn't faded and people dig it.